SINGAPORE is considered as a small country geographically compared to its neighboring Asian countries, but there is no doubt that it is one of the most progressive. The truth is you can find a bit of everything here especially when it comes to FOOD. I’ve been to Singapore four times, but I have to admit that I haven’t done most of the ‘touristy’ things. Most of my trips revolved in attending important events, meeting up with friends and getting stuck in food establishments. Yes, I get easily distracted by food! Technically, I’ve been to Universal Studios Singapore. I went to Sentosa with travel blogger friends and had early lunch with them before they proceed straight to the amusement park. I would like to stay one whole day on a weekday, and I will book Universal studios Singapore tickets in advance so that in a way, I will feel obliged to be child-like again and try as many rides as I can! As I write this, the closest ‘safari’ adventure I can think of is the one I took in Subic some years ago with friends. We went there on a sunny day. Although an African safari won’t be possible anytime soon, maybe a Singapore night safari will do, eh? I know by now you’re probably screaming “WHAT?!? !” out of surprise. Most tourists who go to Singapore in the past four years go straight in this place, but well I am an exemption! To be fair, this attraction is fairly new compared to the other sites. I admit feeling FOMO (fear of missing out) when I see nicely-lit photos of the place on my Instagram feed. I will go there too soon! There is a joke between me and some friends of mine that we will one day go back to Singapore and stay in Marina Bay Sands (is it finally goodbye to decent hostels? 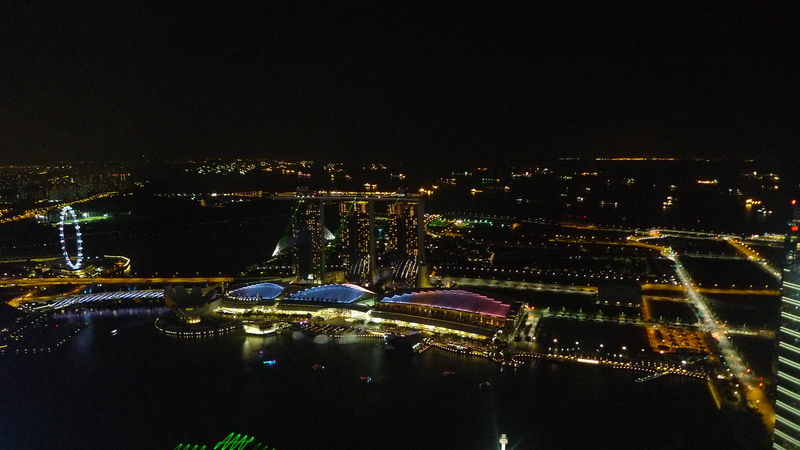 LOL) even just for one night and indulge in the rooftop pool overlooking the busy and progressive Singapore. How much would that cost? Well, let’s all work harder! If I feel the need to disconnect from the bustling city and get a dose of vitamin sea, I will probably book a day trip to Kusu Island. Swim, chill, eat and go home! I’ve done some of the usual Singapore tours recommendations. What I like about Singapore is they have something new to offer to everyone. It is a place where you will have a new appreciation for mad-made sites, international cuisine and fun nightlife. In Singapore, passion is really made possible.